Can You Use Drones for Landscape Photographs? If landscape photography is your hobby, it’s likely that you’ve come across fantastic scenery that needs a bird’s eye view to be properly captured. However, that would require one to take a picture from a helicopter or something of the sort, and even if you were prepared to dish out money for your landscape photography passion, this would be way too expensive. Luckily, there’s an affordable way to take pictures of expansive landscapes, cityscapes and the countryside and all it requires you to use is a drone. This may come off as a surprise, especially if you consider drones to be used most commonly by videographers and media personnel to capture rare footage. But drones can provide landscape photographers with the advantage of being able to reach greater heights. Drones can give you a lot of room to adjust your angle and composition. But it must be remembered that there’s more to taking pictures with a drone than simply finding your target and clicking the capture button, you need to take additional time for every shot. Hence, here’s what to consider before you go get your own drone to start taking landscape pictures. 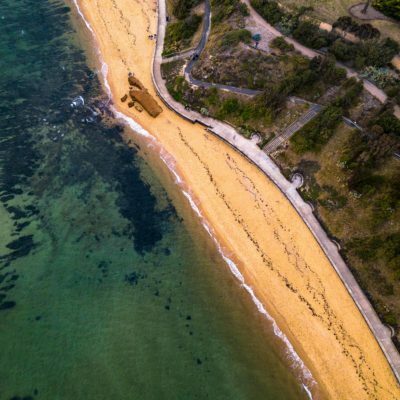 Buying and researching the perfect drone is what takes up the most time when you want to start aerial landscape photography. That’s because they can come at a hefty price, especially if you want extra features and better resolution. If you’re overwhelmed by the variety in the market and don’t know where to start then the DJI Mavic Pro is considered to be a good choice because it offers the best of both worlds; exceptional resolution and image quality producing images 12 megapixels in size, along with the benefit of portability for when you are travelling. On the other hand, if you prioritise sensor size and resolution over other factors, the Phantom 4 Pro can do a good job as well. There are plenty of reviews online and the technology is rapidly changing in this area so best to just look at what the latest options are when deciding what is right for you. Before you leave for the site where you intend to capture your landscape photographs, remember to adjust your settings, have everything charged and ensure you are using the latest software updates. That’s because it can take up a lot of time on-site and you’ll be wasting precious daylight in the process. One of the basic adjustments to make is changing your settings to shoot in RAW because it can allow you more post-production freedom to experiment with your images. It is also important you check the local regulations as to where you plan on flying. There are various websites setup for this purpose, to let pilots know if it’s safe to fly there or not. In Australia, I use the app Can I Fly There? Check your local sites for the latest information. Shooting at a range such as that of a drone, it’s likely that you’ll be capturing much more in a frame than you regularly would if you were using a standard camera. This means that highlights could be overblown while shadows will appear darker. 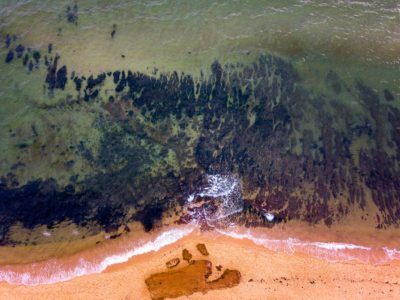 What you can do to prevent this from happening is to choose the Bracketing feature on your drone in which it takes multiple images at varying exposures. You can later merge these images to create a high dynamic range shot by using software such as Lightroom or Photoshop and produce an evenly balanced photograph. Just as with other pictures, landscape photography with drones is no different because of how important lighting is. 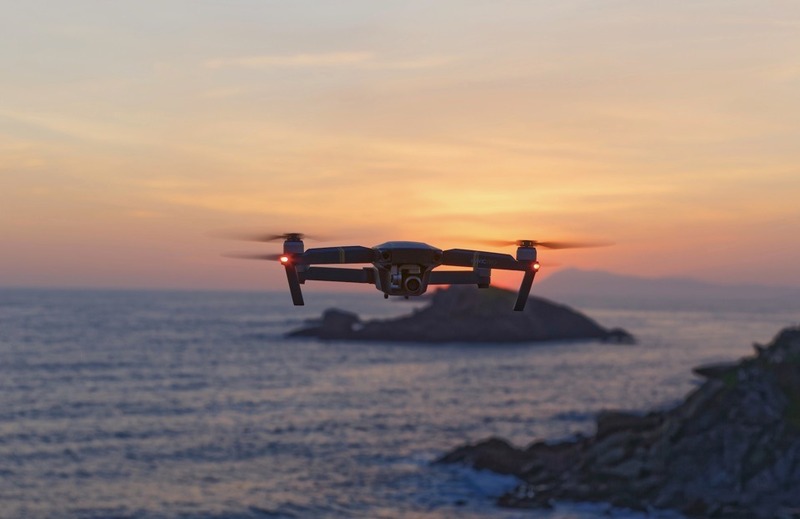 The rules about selecting the time of day, in landscape photography with a drone are somewhat similar to that which is done with a DSLR or mirrorless camera. The best times when your target scenery will be beautifully accented with soft lighting are the periods that come just before and after a sunset and sunrise. While these may be considered as the standard universally, it’s still important to experiment a little. But remember not to do so around noon, when the sun is directly overhead. This can cause overpowering brightness and unwanted shadows, in particular shadows of the drone on the ground. Sometimes it can work though during the day depending on the exact conditions. Just as with every other type of photography, landscape photography requires a focal point which can be determined using the right composition. A common composition technique to use is the Rule of Thirds, in which you divide the image into 9 parts and place your main focus upon the points where your divisions intersect. With the drone, you can at least easily move the gimbal on the camera and experiment to find the right composition that suits as its broadcast in real time to screen on your controller. Try to use the slowest shutter speed possible without introducing blurring to maximise quality. From the air, it is easy to find new angles that provide interest, look for leading lines and make the camera shoot directly down at the ground, using roads, rivers, fields and trees to bring an exciting element to the shot. Most people haven’t seen their local areas from the sky and when looking down it can be really different. Most important of all is to know the rules and regulations that surround the use of drones, whether for commercial or recreational purposes. That’s because the use of drones has a particularly bad reputation around the issue of an individual’s privacy. Hence, contact your local authorities to learn about the regulations of using a drone in the area and let them know where you’re planning on going so that when authorities approach you there, you can say that you’ve already taken permission. To purchase my Landscape Photographs for your office or home, please visit my Gallery.